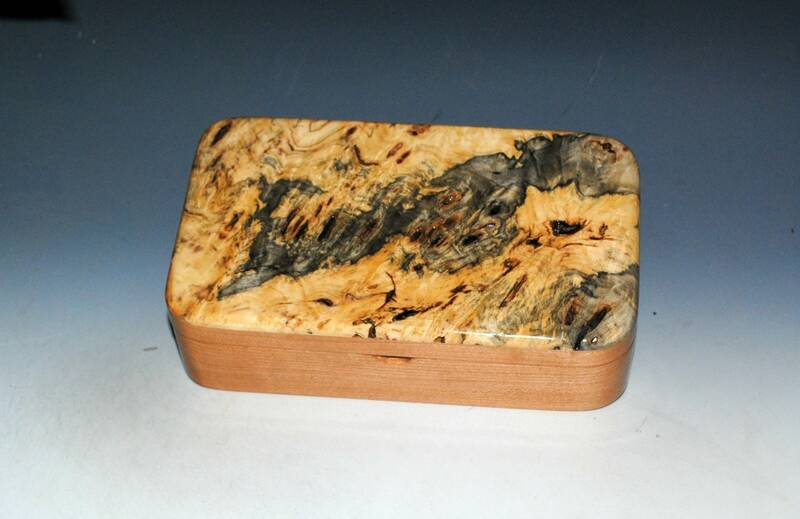 Wooden Box of Buckeye Burl on Cherry by BurlWoodBox - Handmade Wood Box With Lid Perfect For Your Special Treasures, Trinkets or Keepsakes ! 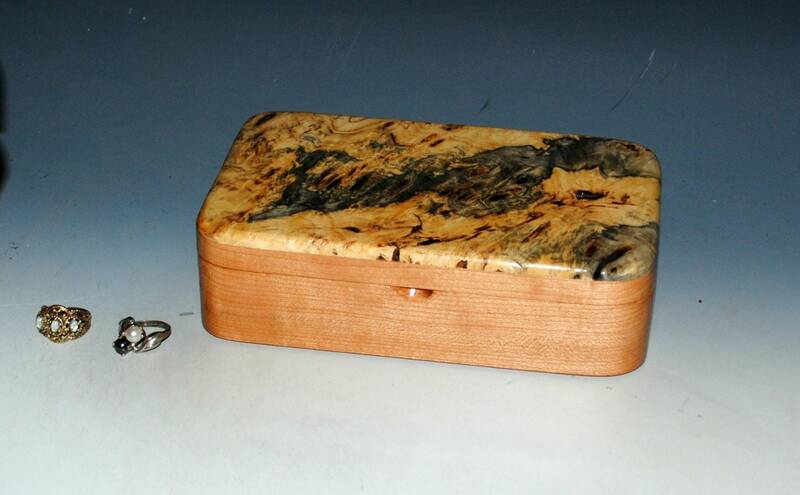 Handmade wood box of cherry with the blue form of buckeye burl by BurlWoodBox, aka Al and Deb. Inside dimensions are approx. 6 1/4" x 3 1/4" x 1 1/8" deep. 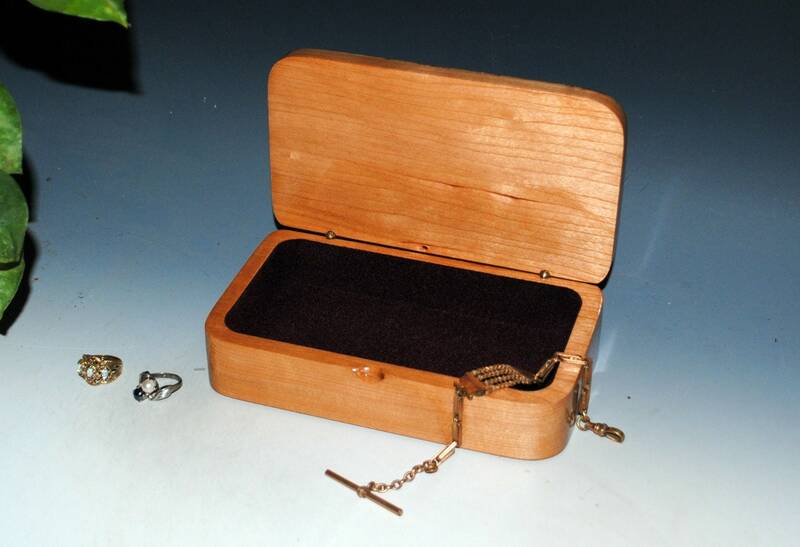 This wooden box can be used for a jewelry box, a place to stash special keepsakes or treasures, or maybe on your desk. We call them oyster boxes although they look nothing like an oyster. Why? Are they nuts? 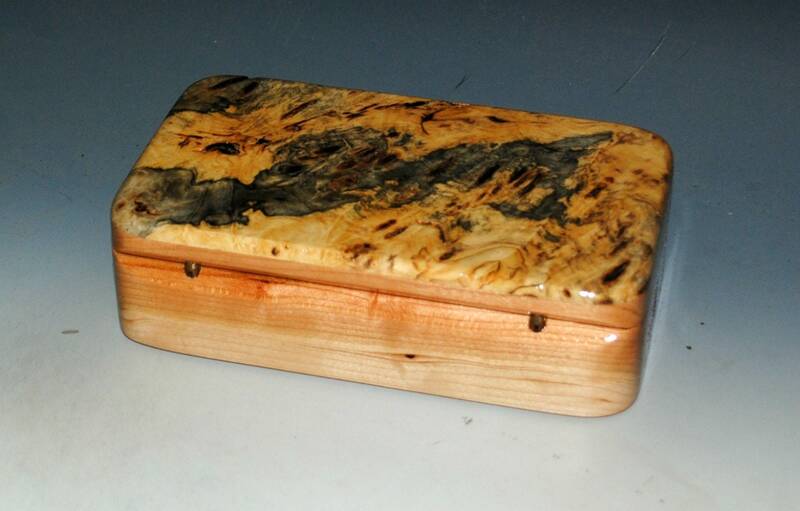 This size box was originally designed for a good customer who makes custom oyster knives and wanted a beautiful presentation box. Hence the name Oyster Box. 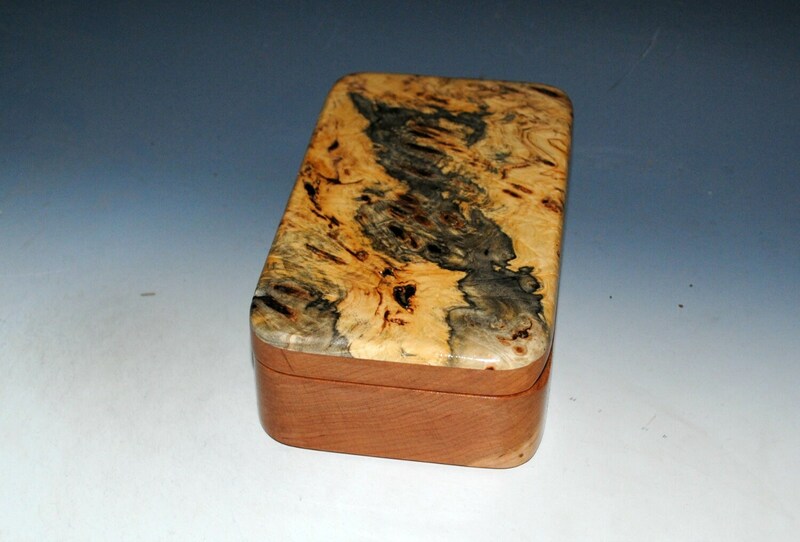 This one is Buckeye Burl on Cherry for a striking color combination. As usual, no stains or dyes are used on the woods. Mother Nature creates the colors as well as the patterns. Box is finished with many, many coats of hand-rubbed tung oil with a hint of polyurethane in the undercoats for better sealing properties. 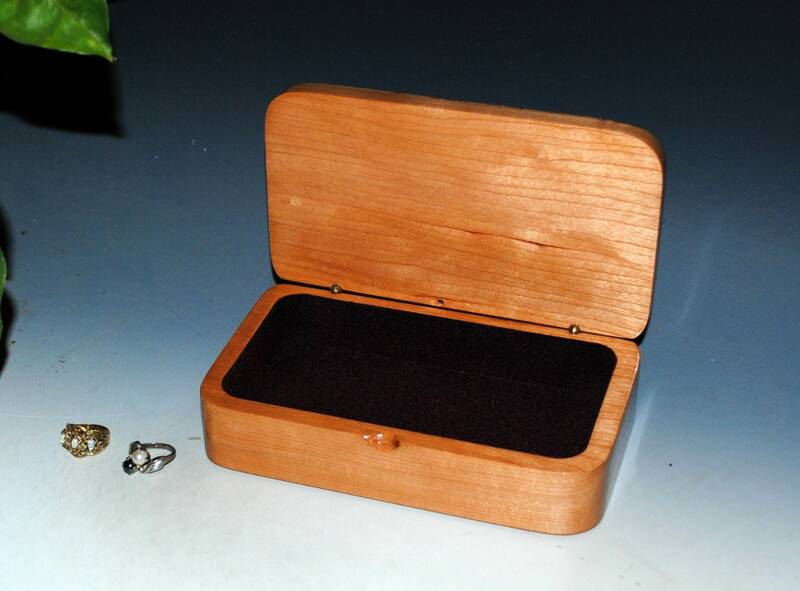 This box is lined with wine rayon flocking that is blown in after painting on the matching adhesive. Every nook and cranny is filled with lining. Others need to contact us for a shipping cost based on the packed weight. We utilize as much recycled or re-purposed material as possible when packing your order for safe shipment. 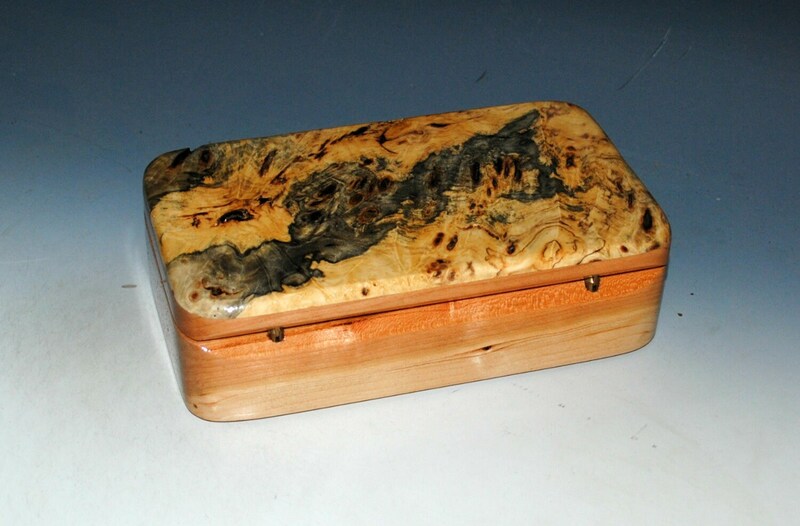 Other styles of our wood boxes here from our main shop page. 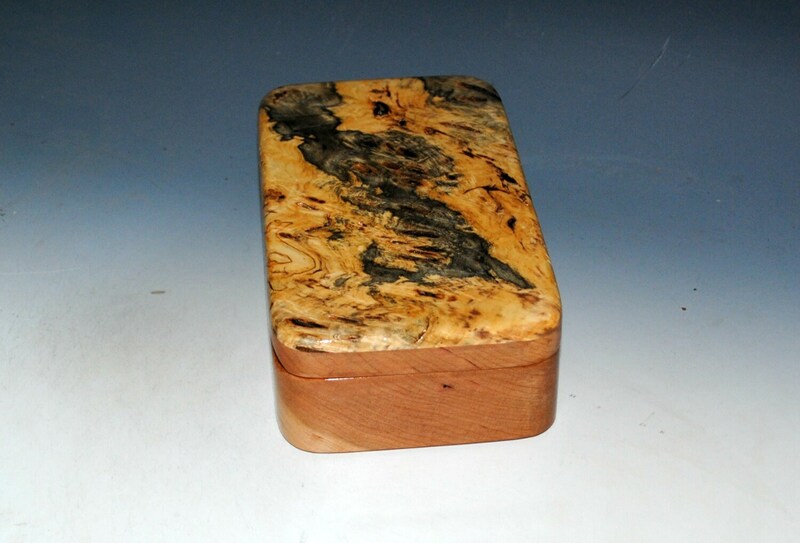 Beautiful craftsmanship, excellent communication from the seller, and very fast shipping! Ordered two beautiful boxes. These boxes are one of a kind. I can tell these artists have a passion for what they do! It shows through their work. 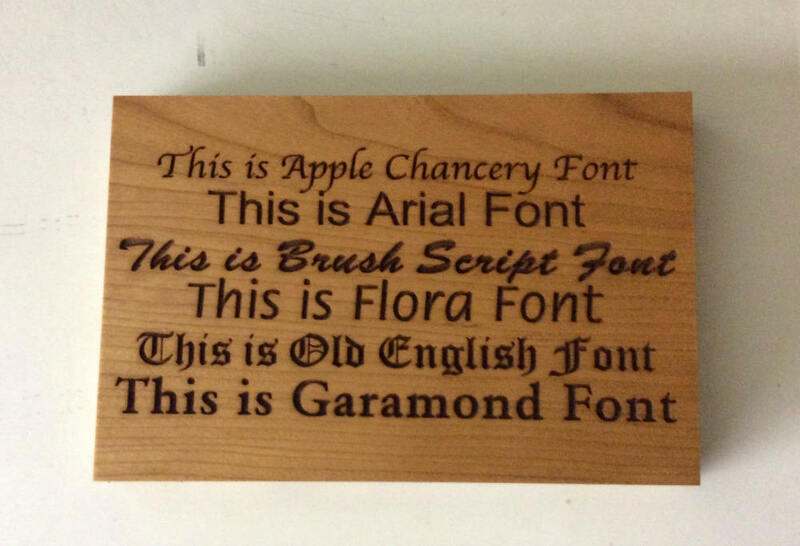 A great gift for a love one or to keep for yourself. 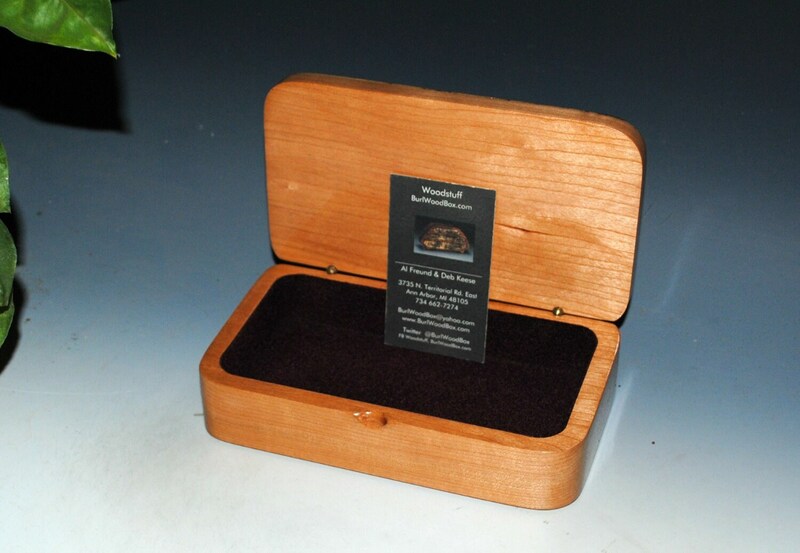 Very hard to find well crafted boxes at such a great price! Beautiful product! Top quality hardware and finishing. Fast shipping and communication. Great store and seller!